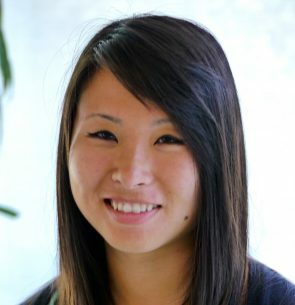 Joanna Huang is the Learning Technology Specialist for the Sciences at Harvard University’s Cabot Science Library. She is passionate about investigating the relationship between digital technology, the pedagogical practices of educators, and how they impact learning and educational access. Joanna is very interested in learner-centered pedagogy and how learning spaces and environments affect that. This involves investigating how innovate and cutting edges multimedia digital technology can help enhance the pedagogical practices and positively impact active learning – both in face to face and distance learning settings. Previously, Joanna was a learning designer at the Teaching and Learning Lab at the Harvard Graduate School of Education where she designed blended learning experiences and support learning technologies for the Harvard Teacher Fellows program. Joanna brings her experiences from the MIT Teaching Systems Lab, Harvard Kennedy School, ExtensionEngine, and the Carnegie Foundation of the Advancement of Teaching to inform her work and thinking. Joanna holds a Master’s degree in Technology, Innovation, and Education from the Harvard Graduate School of Education and a Bachelor’s degree in Cognitive Science, Human Computer Interaction specialization from the University of California, San Diego.